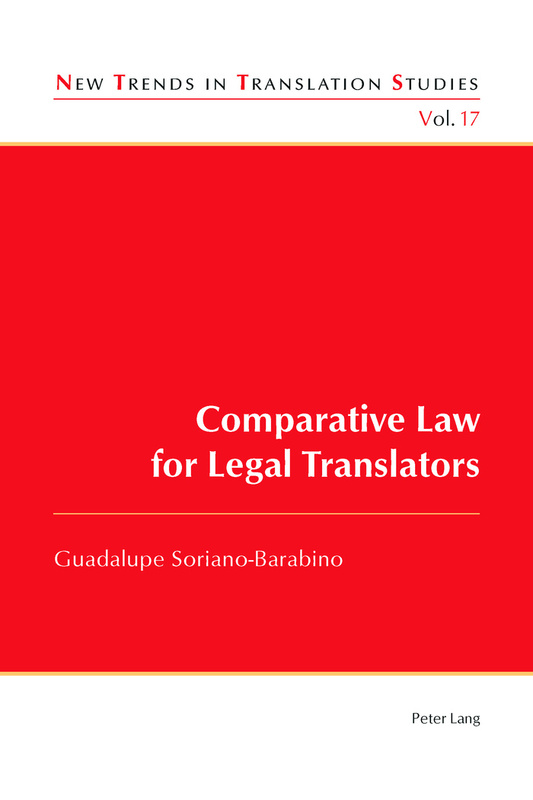 The recent publication of Comparative Law for Translators, by Guadalupe Soriano-Barabino and published by Peter Lang, is Volume 17 in the excellent series “New Trends in Translation Studies” (see this post about volume 4). It is aimed at students, teachers, professionals and researchers in legal translation. Part IV Comparative Law for Legal Translators: From Theory to Practice. You can find out more from the Peter Lang website here. You might also be interested in this post from July, on a book by Edward Elgar Publishing entitled Contract Law: A Comparative Introduction. Pingback: (EN) (PDF) (€) – Comparative Law for Legal Translators | Guadalupe Soriano-Barabino – Glossarissimo!